Summer’s Here, and So Is Pie! Memorial Day Weekend. We didn’t get to the beach, but we did cook out on Monday. We had some family over for sausage and peppers, corn on the cob, tomato salad. 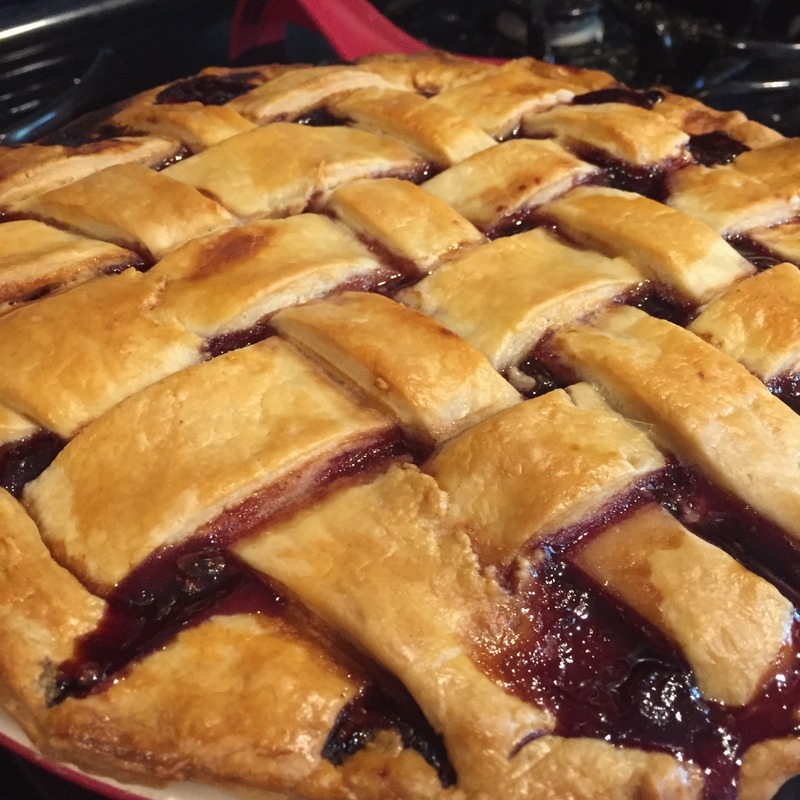 And I still had some sweet cherries in the freezer from last summer, so I made the first official pie of the summer season. Delicious. 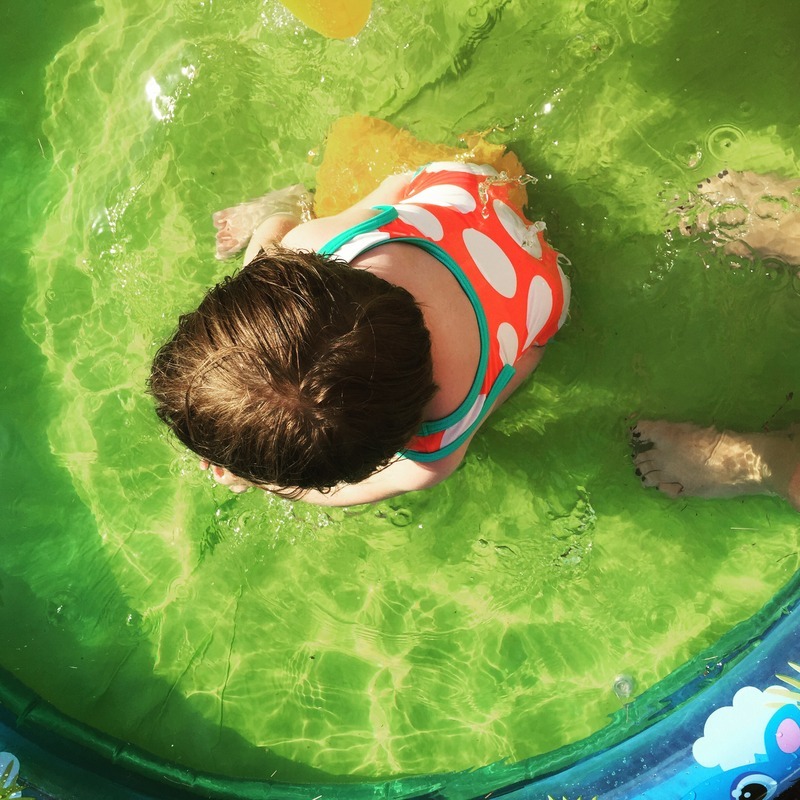 We also broke out H’s new kiddie pool. We fired up the grill, ate pie, and watched H splash in the backyard.